The unprotected human body is ill-equipped for cold weather survival. The colder it is, and the more exposed we are to it, the deadlier the results. Cold weather is often a deadly obstacle, especially for the unskilled and unprepared. They didn’t ask for it, they didn’t expect it, it’s not fair, but Mother Nature doesn’t care. She’s cold and heartless when the seasons change. When the winds shift and she drags the frigid Canadian tundra down into the lower 50. You can either be a cold weather victim or a cold weather survivor. The 3 ways the body is negatively affected by severe cold are 1) Frostbite 2) Hypothermia 3) Hypoglycemia. If we can avoid these 3 cold-related conditions, we can survive in the cold. Frostbite is freezing of the water molecules in your skin cells. Once the cells freeze, they quickly die. Once they die, they cause irreversible muscular and nervous system damages. With as little as 10 MPH wind and -5 degrees F exposed skill can develop frostbite in 30 minutes. Add in higher 50 MPH winds (such as a strong blizzard) and frostbite can occur in 5 minutes at -15 degrees. That’s why blizzards are so dangerous to cold weather survival. That’s why mountain climbers who get caught on a mountain often suffer from severe frostbite. If you study this chart closely, you’ll notice that frostbite is highly dependent upon the wind. Without wind, frostbite takes much longer to develop. But with high winds, frostbite becomes deadly fast. So in blizzard conditions, the number one cold weather priority is to find shelter from the wind. Frostnip is the first sign of frostbite. This is the time to use all your cold weather survival skills to assist in reversing the frost nip effect. The simplest way to do this is by rewarming the area(s). For example, if frostnip develops on your fingertips a quick way to warm them is to place them under your armpits. Your armpits are often your body’s warmest point in freezing weather. If you can’t rewarm the affected area(s), frostnip will eventually develop into frostbite. When your core body temperature drops from 98.5 to 95 degrees Fahrenheit you’re entering hypothermia. Hypothermia is the state where your essential body organs start to drop in temperature. A human’s internal organs can only function properly in a tight temperature range. Once they begin falling outside this range, they start shutting down. We are talking about vital organs such as heart, lungs, kidney, and brain. The stuff that you need to operate to remain alive. However, it’s difficult to be self-aware that you’ve entered Hypothermia. Why? Because symptoms usually occur gradually. So it’s important to know the initial signs. It’s nearly impossible to fully reverse the effects of severe hypothermia. However, several actions should be taken to minimalize the costs. And when I say cost, I mean avoiding the loss of life. The worst-case scenario in cold weather is getting wet. Falling through the ice and getting your clothes wet puts you in a critical position. Time is of the essence, as being wet in the cold is the fast track to hypothermia. You must get the wet clothes off IMMEDIATELY. Will it be cold? Extremely. But your body’s core temperature will plunge quickly when wet clothing blankets your skin. As counter-intuitive as it sounds, if your clothes are wet you must get naked. You have nearly zero chance of avoiding hypothermia if you leave wet clothes on in near-zero temperature. If you’re wet and it’s cold you will soon be dead. Once the wet clothing is removed, immediately replace it with dry clothing or blankets. Also, begin jumping jacks to get your heart rate up. Try to build a fire quickly, every second counts. Continue to monitor signs of life, breathing, and pulse. If you’re able to start a fire, place your metal water bottle in the embers of the fire. If you are running low or are out of water; fill the water bottle with snow. Let the water bottle become warm to the touch. Then empty a small amount into a cup, then provide the affected person with sips of the warm liquid. Use the remaining quantity of water in the bottle and wrap it in a clean, dry cloth. Place this next to the hypothermic individual’s neck, chest or groin. If all else fails, use skin-to-skin contact (if you’re not alone). This is a dire scenario that should be avoided at all cost. Don’t attempt to cross ice that you are not confident can hold your weight. It’s better to avoid crossing at all since the risk-reward is terrible. Also, get out of any freezing rain or sleet ASAP. The combination of cold and survival will plow through your bodies energy reserves. When the body is exposed to cold, it automatically starts converting energy into warmth. One way it does this is by uncontrollable shivering. The act of shivering is your body using energy to try to create heat. When in survival situations your body becomes stressed. A stressed body takes fat stores and turns them into quick energy. It does this to provide your body with all the energy it needs to react. a.k.a. Fight or Flight. Your body is preparing you for action and it’s a tremendous waste of energy in cold weather survival. Between the cold and the stress, your body’s available energy resources will quickly deplete. This is very dangerous and the massive loss of carbohydrates will cause low blood sugar. This then leads to hypoglycemia. Being hypoglycemic can cause mental confusion and cardiac arrhythmias. Essentially it will affect your decision-making, which is always bad for survival. To avoid hypoglycemia in a cold weather survival situation is to stay fueled. Eat plenty of simple sugars and carbohydrates. Ideally, you’ll have some snacks with you in a survival situation. If you don’t, then a quick rescue is best. Trying to find food in a cold weather environment is one of the most challenging survival tasks. Plus often it can deplete more energy than you gain. Most fruits and vegetables yield the highest density of simple sugars. Good luck finding those in cold weather survival situations. You should always have a few basic simple sugar foods stuffed in your pack. Honey, mixed nuts, nut butter, granola, dark chocolate, granola bars. These all contain the energy that your body needs for cold weather survival. Be aware that if you’re in cold weather for an extended period, energy depletion is a major threat. A Snickers bar has saved the day on many occasions. A lesser-known condition in cold weather survival is dehydration. Normally people associate dehydration with hot climates. While this association is mostly true, it doesn’t mean it can be ignored in cold weather. When you are cold, the last thing your body will tell you it needs is water. So you may become dehydrated without even realizing it. But hydration is essential in keeping your nervous system running properly. The good news is that most cold weather situations will include snow. This snow can be melted via a fire or using body heat. However, you must take care when melting snow using your body heat. Using your own body heat will exacerbate hypothermia. Never eat snow in cold weather survival. The ingested cold snow will force your body to warm it from within. This process wastes energy and quickens the onset of hypoglycemia. Cold snow also chills your core from within which quickens the onset of hypothermia. Both of these are bad, so don’t eat snow if you’re trying to survive. With adequate food and water consumption, your body has the energy reserves it needs to fight the cold. Exposed skin is deadly for humans. We don’t have fur or blubber to protect us. So we need to adorn layers. Clothing – Appropriate clothing can save you from getting into a life-threatening situation. When training soldiers, the Army uses the Acronym C.O.L.D. as a reminder. Clean clothes (and skin) can help your body regulate its core temperature through insulation. A clean pair of socks can quickly warm up your whole body. Avoid OVERHEATING. When your body begins to overheat, you begin to sweat. In hot weather, this is essential because as sweat evaporates it cools your body. But cooling your body is the exact opposite effect we want in cold weather. Keep clothing LOOSE and LAYERED. Loose clothing prevents slow circulation and helps to keep your extremities warm. Layered clothing means the ability to shed a layer or two when you begin to overheat. Overheating is a common problem when scavenging for food and water or when building a shelter. When clothing is both loose and layered it allows some air between layers. This trapped air then helps to provide extra layers of insulation. Several factors affect a person’s resting heart rate. These factors may include medication use, temperature, body positioning, and weight. In general, cold weather lowers one’s heart rate. This, in turn, decreases blood flow throughout the body. Slower blood flow results in a lowering of your core body temperature. Lower core body temps can lead to a condition called hypothermia. Hypothermia is one of the most potent life-threatening illness in cold weather survival. One way to stop or slow hypothermia is to get your heart rate up. The simplest way to do this is with some basic exercises. Jumping jacks or some high knee running will do. These will quickly boost your heart rate up and begin to generate heat. However, you need to be careful here. After 50 to 100 jumping jacks, your body will start to sweat. Sweat in cold weather is bad. Sweat will cool the body which is the last thing you want in cold weather. Breaking a sweat in the cold is detrimental and causes more harm than good. Having skin exposed to the elements can be a quick way to lose your bodies heat. Radiating heat loss is due to exposed skin or direct exposure to cold water or snow. Even with essential gear like a hat and gloves, people often allow their neck and ears to be exposed. This is a mistake in cold weather as it will quickly drain precious heat. Yes, covering your ears will weaken one of your acute five senses in a survival situation. You need to listen for predators but covering the tops of your ears will help keep large amounts of heat. If you are part of a team you could be taking turns in covering ears. A shelter is critical. Shelter, a location out of the elements and off of the cold ground. But not all cold weather shelters are created equal. If you’re prepared, you brought a cold weather tent with you. However, in the wilderness, an abandoned cabin is also a lucky find and not something you can ever count on. This can protect you from the wind and allow you to create a fire and retain the heat. If you’re not lucky enough to stumble upon a cabin, then you might find an alcove or cave. If these are not available options, then you may need to build a simple cold weather survival shelter. In the harshest of conditions, seeking shelter is of utmost importance. You have, as little as, 3 hours to live in when you’re exposed to the most extreme elements. Did you know that more people die every year from exposure to the elements than from starvation and dehydration combined? Yes, that’s how important shelter is to your survival. That’s why we recommend everyone to have at least one TACT Bivvy in their backpack, at home and glovebox of your vehicle. 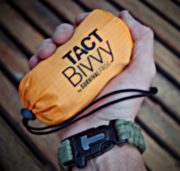 The TACT Bivvy is your potentially lifesaving survival insurance as it’s made from a material designed by NASA that reflects as much as 90% of your body heat back at you keeping you warm longer. It can fit in the palm of your hand on weights less than 5 oz, so you’ll hardly even know it’s in your backpack until you need it. “Just in Case” Jack field tested the TACT Bivvy on a chilly day (44 F) in the foothills of the Rocky Mountains. After a short time, the temperature inside the TACT Bivvy was 82.9 F. That’s darn near tropical! Climbing into a TACT Bivvy will be an extra layer of protection to go along with the survival shelter you find or build. If snow is readily available (and is packable) you can create an igloo. If you’re near evergreen trees and deep snow, they may provide a tree pit shelter. You may also be able to build a simple debris shelter if the area you are in has what you need. If nothing else is available, find a small ridgeline where the wind blows over you and not through you. A place where a fire can stay lit, and you can retain some of its heat. This seems to be the obvious first choice of warming yourself up, right? Yes, but without following the previous guidelines the fire will only allow temporary comfort. You must build a fire, maintain it and harness its heat to warm you and your space. Always have at least 3 fire starting methods (some recommendations are: Bic lighters, Tesla Lighter, fire starting sticks, fire laces) with you and become an expert at using each of them. On top of having, at least 3 fire starting methods, you should learn how to make fire with sticks as a last resort. QuickHeat Hand Warmers, Hot Hands, and Under Armour can give us important advantages in cold weather survival. But gear alone can only take us so far. Ultimately it comes back to our survival capabilities and decision-making. The coolest survival gadgets won’t save us if we don’t know cold weather survival. So the first and best preparation for cold weather survival is the mental strength. Being mentally prepared for the challenges Mother Nature will deliver. Avoiding poor decisions takes mental preparedness. Mental preparation starts and ends with understanding your strengths and your weaknesses. Your cold weather survival strengths and weaknesses come from past experiences. Have you ever experienced starting a fire without lighter or matches? Ever navigated in the wild during a raging blizzard? Have you ever survived falling through ice and avoided hypothermia? Evaluating your cold weather survival skills before you need them allows you to focus on the right skills to practice. Determine which skills you feel confident in and which ones you do not. Then practice your weak skills in a milder, safer weather condition. What About The Decisions Of Others? If you find yourself in cold weather survival, it’s always better if you’re in a group. Right? It depends. If your group is knowledgeable then yes, it’s better. But if they are unskilled and scared they can promote poor decisions. It’s even worse if they feel the need to lead. So you also should evaluate the cold weather survival skills of your survival coalition. 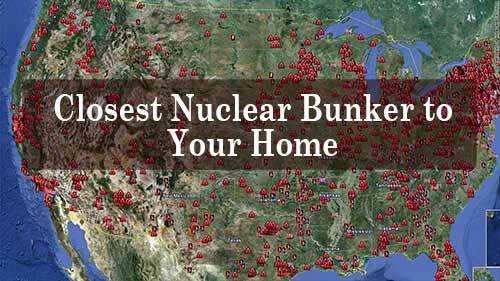 The family, friends, and neighbors you’re most likely to end up in a survival scenario with. Why? You are only as strong as your weakest link. If you know your survival coalition well, then you have a good understanding of this already. An example is The Walking Dead where Daryl and Rick know each other’s strengths and weaknesses. How? Because they’ve spent several seasons with each other covering each other’s backs. But, what happens when your group is composed of new acquaintances or strangers? You could be trying to survive the cold with someone who has never been exposed to the real outdoors. Obviously, we can’t get to know everyone but we should get to know our new survival coalition members. This is when you go on a “Prep-Trip”. These trips will commonly be short in duration and during mild weather. A Prep-Trip is a way to check the strengths and weaknesses of new team members. Plus, you can become more familiar with your equipment while you’re at it (more on this later). Win-win. You travel solo often? Then it’s crucial to cut the crap and evaluate your cold weather survival skills. Set your ego aside because there won’t be anyone to impress when you’re alone in the wilderness. You either survive, or you don’t. No fan fair, no pats on the back, no ribbons or medals. If you’ve never started a fire without matches, go into your backyard right now and practice. If you’ve never navigated in a blizzard or built a shelter in the snow, then it’s time to learn. In frigid weather, lighters tend to fail. They have a hard time igniting. Instead of wasting precious energy without heat, you need to move to the next resource. Light a fire using natural materials. This type of thinking is called adaptive mindset. A mindset that will help keep you from getting yourself into a life-threatening situation. You should become intimately involved with your survival gear. Your life may depend on it. Most of us have gathered different pieces of survival gear over the years. Some survival kits work as a primary go-to for non-life threatening events. But most aren’t enough for extreme cold weather survival. Test all your gear before your trip. You might think, “I’ve seen Bear Grylls and Les Stroud do it hundreds of times. If they can do it, I will have no trouble doing it.” WRONG! Every piece of gear varies from brand to brand and model to model. For example, hand warmers work great but there are steps to get maximum heat out of them. First, you should plan to open them 30-45 min before use. This allows the chemical reaction to start because they are activated by exposure to air. Second, you don’t have to use hand warmers on your hands. When you use them for your hands, they significantly inhibit you from doing tasks that use your hands. Instead, place around your neck. Your carotid artery is located close to the skin’s surface. If you can warm your blood it will transfer the heat to the rest of your body. Note: Never put these chemical warmers directly on the skin. When hand warmers are tucked away, they no longer have exposure to air which means they begin to lose heat. So you must re-expose them to air, smoosh them around a bit and then replace them to where you used them for warmth. Just remember, that this electric hand warmer relies on being charged up to work. That’s why we recommend pairing it with a solar charger and power bank so you can keep it charged even when you’re off the grid. Knowing the intricate details of your survival gear prepares you for cold weather survival. You should try to stay focused and remain calm when the weather gets rough. When stressed, our anxiety levels rise. Anxiety causes our bodies discomfort. This discomfort causes you to focus on your emotional distress instead of on survival. Cold not only causes physical discomfort but can cause mental anguish. That can easily be prevented with a little research, or be detrimental when not prepared. Study the terrain and local weather patterns. All terrain is unique. Every region has its own known weather patterns. It’s important to understand these aspects of the areas you frequent. Mountains terrain differs from range to range. The desert provides a different set of cold weather challenges. The desert can reach extremely high temperatures causing you to perspire during the day. But when the sun goes down, the temperatures can reach extreme lows. This shift in temperatures can cause you to get cold faster if you can’t change into clean and dry clothes. Honestly, assess your current cold weather survival skills. Make a list of the skills that are your weakest. Plan a trip where you can practice these skills in a relatively safe and controlled condition. Double check you have some simple sugar foods in your survival pack. Take stock of your cold weather gear. Add or upgrade gear as necessary. *Referenced in Herbs an Illustrated Encyclopedia – a Complete Culinary, Cosmetic, Medicinal and Ornamental Guide, by Kathi Keville [1994 ed.]. I had cause to test this two years back. I live in Northern Idaho and was checking out something for a friend in the middle of winter. My socks and boots were not up to snuff. By the time I realized something was wrong and got all the way back, I was fairly worried. My toes were just at the borderline between frostnip and frostbite. I slathered them in the aloe vera gel I generally keep around for burns. The next morning you couldn’t tell anything had been wrong with them. I keep a bottle in my truck now. Just in case. I learned the hard way about the importance of keeping a warm coat, blankets etc in my vehicle. After a 5 mile hike with temps in the teens at 2am I take it seriously now. I was lucky, it could have been much colder and the walk to warm shelter much farther.